More than 85 years after its emergence, United Way of Central Carolinas, Inc. continues to serve our community to ensure everyone has the opportunity to reach their full potential. Our organization began in 1931 in Mecklenburg County as “Emergency Relief” and was created to help people affected by the Great Depression. The organization sought to reduce the number of charitable appeals made to the business community by holding a single fundraising drive. This first campaign in 1931 raised about $139,000. Contributions as well as the number of donors rose sharply with the onset of World War II and in 1944, about $438,000 was collected. The post-war boom during the 1950s also boosted campaign contributions, leading to steady increases and surpassing the $1 million mark in 1956. 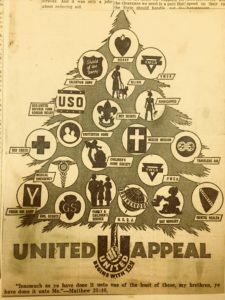 Although the organization’s name changed multiple times during the 1930s-1950s – including titles like United Welfare Federation, Community War Chest and United Community Services – the mission of bringing relief to people remained. By the 1960s, the organization played a greater role in community planning initiatives including poverty programs, subsidized school lunches and public recreation. There was also a push to fund national agencies through the local campaigns. 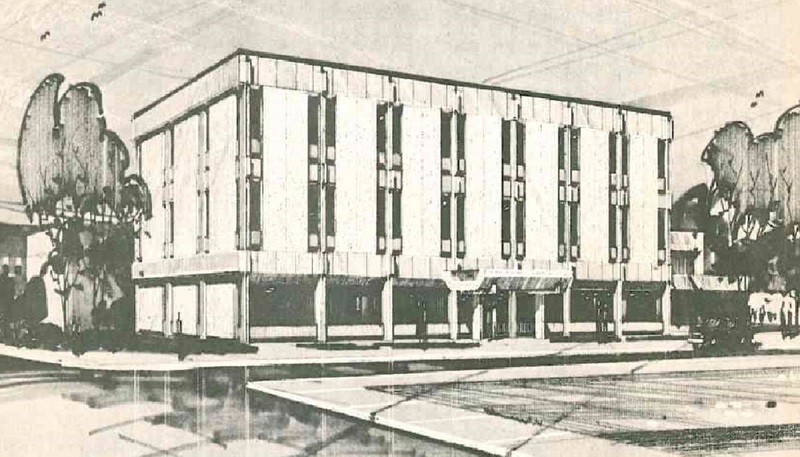 In 1969, the campaign raised more than $2 million and the organization moved into the building it still occupies on South Brevard Street in Charlotte. Four years later the organization merged with the Union County Combined Charity Organization to conduct the first joint Mecklenburg and Union counties campaign drive. 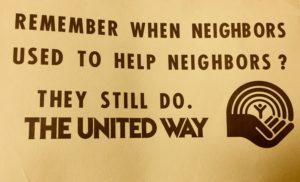 In 1982, the organization’s board of directors changed the name from United Community Services to United Way of Mecklenburg and Union Counties, Inc. The newly-named organization continued to see record-breaking campaigns, reaching more than $10 million in 1984. 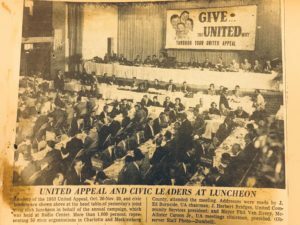 On January 1, 1987, United Way of Cabarrus County merged with United Way of Mecklenburg and Union Counties to form United Way of Central Carolinas, Inc. 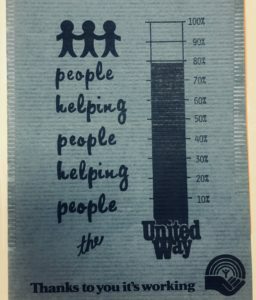 In 1995, United Way’s campaign surpassed $20 million and grew to support agencies in its three-county footprint. Five years later the Mooresville-Lake Norman United Way became a member of United Way of Central Carolinas. Throughout the years, United Way has played a significant role in the creation of organizations and investment in the community. In 1955, United Way leaders granted nearly $16,000 to launch Heart Services of Charlotte and Mecklenburg County, the present-day Care Ring. 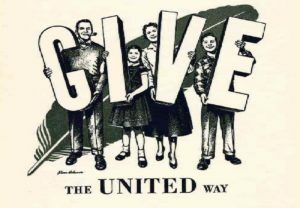 And in 1958, Foundation For The Carolinas was established with a $3,000 gift from United Way to provide for the availability of capital funds for agencies on a long-term basis. 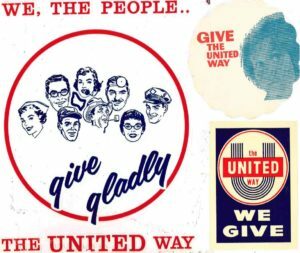 During the 1980s, United Way became a catalyst for community concern and action on important social issues. The organization, in conjunction with other community partners, created the Charlotte-Mecklenburg Council on Aging and the Council for Children (the present-day Council for Children’s Rights). United Way leaders also started Crisis Assistance Ministry in Union County. In Mecklenburg County, a United Way study led Crisis Assistance Ministry to become the lead agency to provide more effective use of emergency relief funds. Additionally, United Way-led studies resulted in the creation of Child Care Resources in 1983 and the establishment of an uptown Charlotte homeless shelter for men in 1987. In 2004, United Way had a role in creating the Institute for Social Capital to assist with providing resources for understanding the outcomes for the most vulnerable people in our communities. In 2012, the institute became part of the University of North Carolina at Charlotte Urban Institute. Today, our organization raises millions of dollars and works with a network of more than 110 partners across five counties – Anson, Cabarrus, Mecklenburg, Mooresville-Lake Norman and Union. These partnerships and collaborations allow us to take on big issues like early childhood education, mental health services, access to medical care and financial stability. Our organization continues to prioritize community needs and funding based on the most critical of those needs through programs including United Neighborhoods and Unite Charlotte. These and other initiatives fuel our comprehensive strategy to make a difference in the lives of people living right here in our community. Through our unique position at the center of the nonprofit, government, philanthropic and business communities and with hundreds of dedicated volunteers, we stand ready to keep fulfilling our role as a united force to fight for the education, health and financial stability of every person in our community.